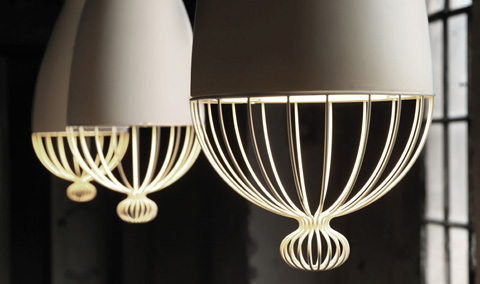 When everyday objects like lamps are transformed into absolute poetry, there is definitely much more coming into our lives than just mere light. 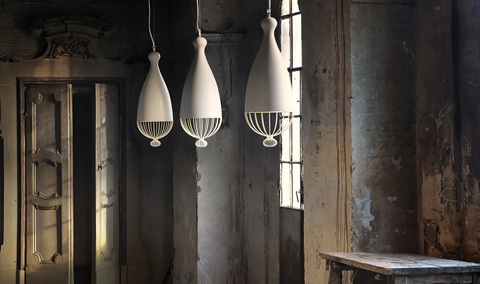 Childhood recollections, good moods can be all communicated via an object’s design and this is exactly what Edmondo Testaguzza managed to do, when designing his collection of suspended lamps, carrying the name Le Trulle. 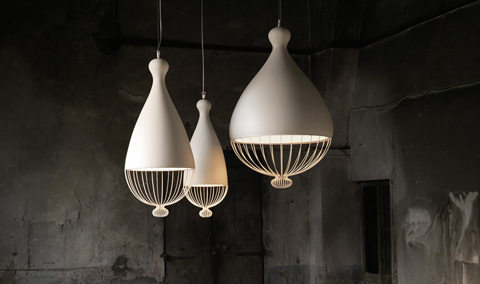 They are beautiful ceramic lamps featuring soft lines, total absence of edges, where the upper part is connected to a metal thread shade, all bonded together under the common denominator of total whiteness. Le Trulle are inspired by the famous Appulian Trulli, those special dry stone huts with the conical roofs, characteristic houses of the Italian region of Appulia. It’s quite interesting how old architectural structures become furnishing objects reminding of open spaces, summer warmth, conveying good sensations of comfort and relax. They come in various sizes, such as ones with 59 cm diameter and an 88 cm height and must admit that seeing a variety of them grouped together to illuminate a room is extremely charming. 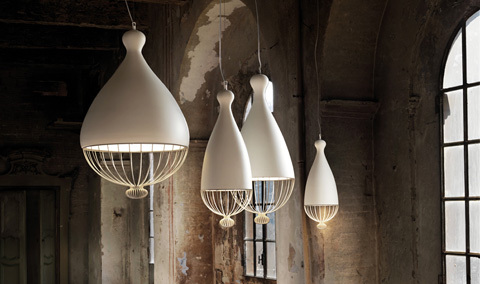 Asides from the correlation with architecture, I can’t help but also picturing them as hot air balloons, which have set forth to their adventure to illuminate living residences in anything but a conventional way. Despite being made from materials like ceramic and metal, their form’s plasticity somehow masterfully manages to give the impression of lightness and total absence of weight. That’s why they look equally magnificent both when lighted and when not, simply serving their purpose as suspended sculptures.